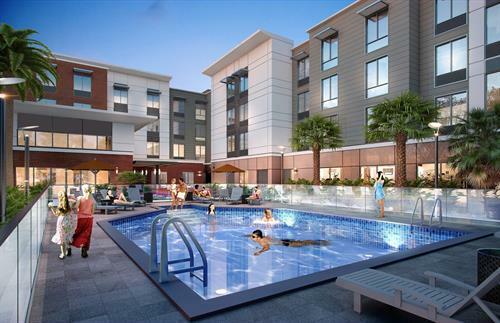 The Homewood Suites by Hilton, NW Houston at Beltway 8 is a 125 room, all suite property. Each of our luxurious guest suites has a complete kitchen with full sized refrigerator with ice maker, microwave oven, stove top, cookware and utensils. Our guest enjoy a complementary hot breakfast buffet 7-days a week as well as evening guest receptions with light dinner fare, beer and wine every Monday, Tuesday, Wednesday and Thursday. Our guest can also use our complementary gas barbeque grills or take a dip in our sparkling pool. Need something a bit more challenging? Try our putting green to sharpen your short game. 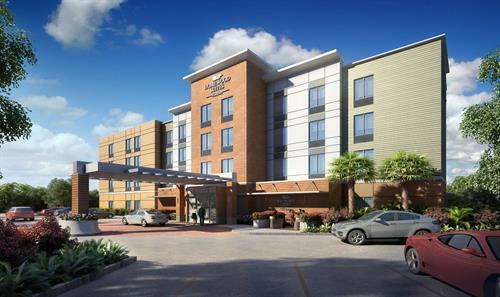 The Homewood Suites by Hilton, NW Houston at Beltway 8 caters to guest staying from 1 to 100+ nights with the service guest have come to expect from Hilton hotels world wide, all while earning valuable Hilton Honors Points. We are conveniently located just outside Beltway 8 on Fallbrook drive, a short distance to such popular destinations as the Sam Houston Race Park, and Baseball USA, or local companies such as Baker Hughes, Forum Energy Technologies and Lennox Industries.